Digi-cam batteries are dead, humor running on empty ('As usual', you say?) Bear with us and we will at least get out and get some pictures of this wonderful equinoctial rain/snow. 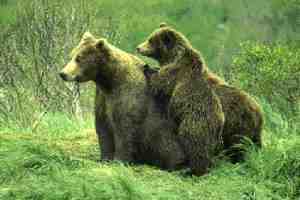 Now taking applications for the grizzly bear artificial insemination team.